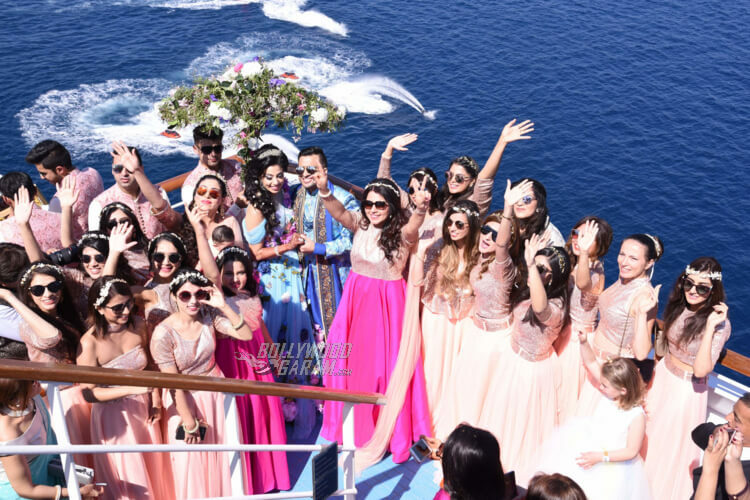 Photos from Sana Khan and Adel Sajan's Baraat are here! Home Events Photos from Sana Khan and Adel Sajan’s Baraat are here! 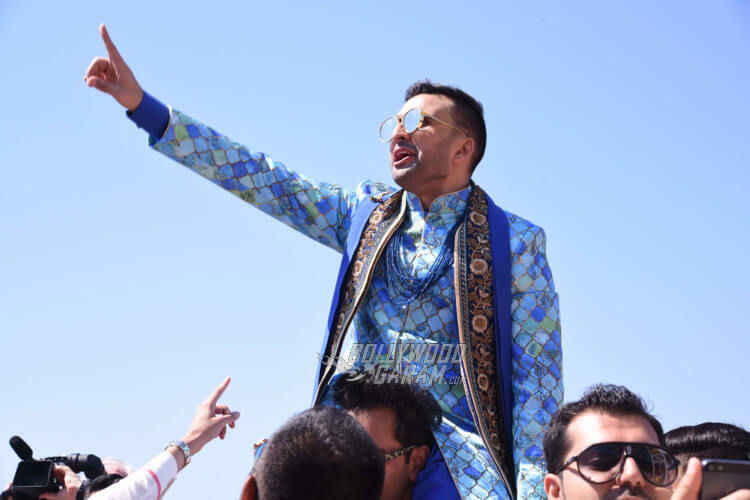 Photos from Sana Khan and Adel Sajan’s Baraat are here! 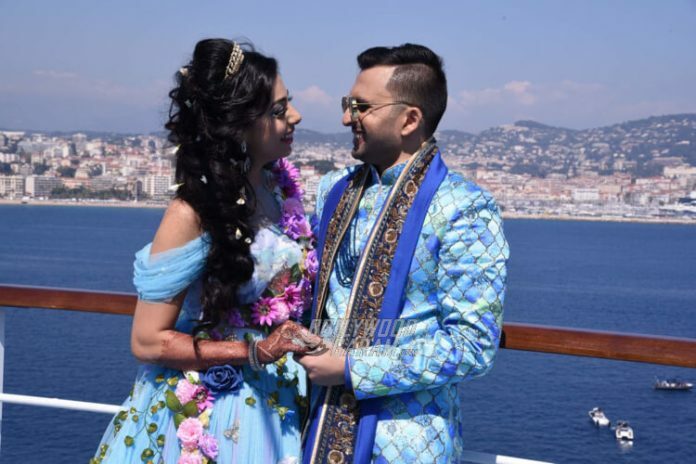 Adel Sajan and Sana Khan finally exchanged their wedding vows today atop a luxury cruiser liner today. 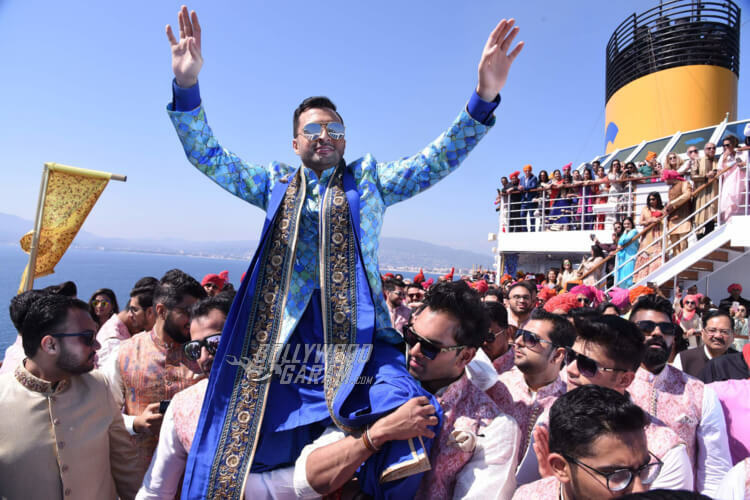 The wedding celebrations went on for four days with almost 3000 guests sailing through the Mediterranean Sea. 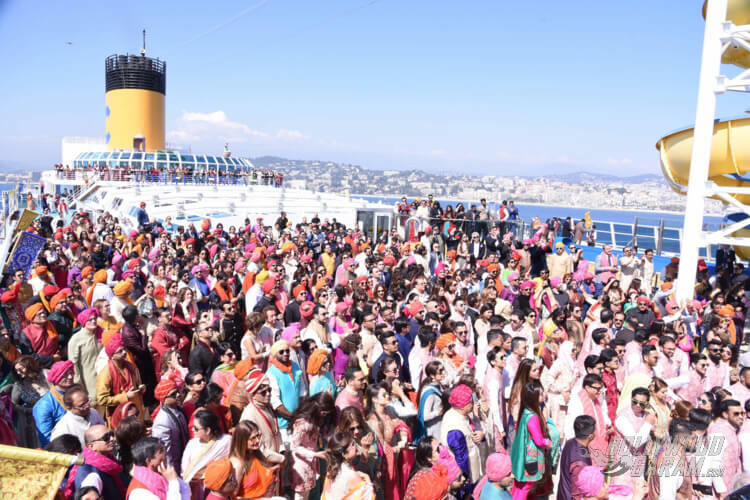 Celebrations started off with guests boarding from Spain and visiting France and Italy through four days with more than 57 themed parties and performances by Bollywood celebrities, including Malaika Arora, Gauahar Khan, Vishal – Shekar, Badshah, Karishma Tanna and Sophie Choudry! On April 9, 2017, Sana Khan and Adel Sajan exchanged their wedding vows, starting off with a grand baraat on decks followed by a stunning white themed wedding bash in which bride Sana Khan stole the limelight with her beautiful diamond studded bio luminescent white dress! 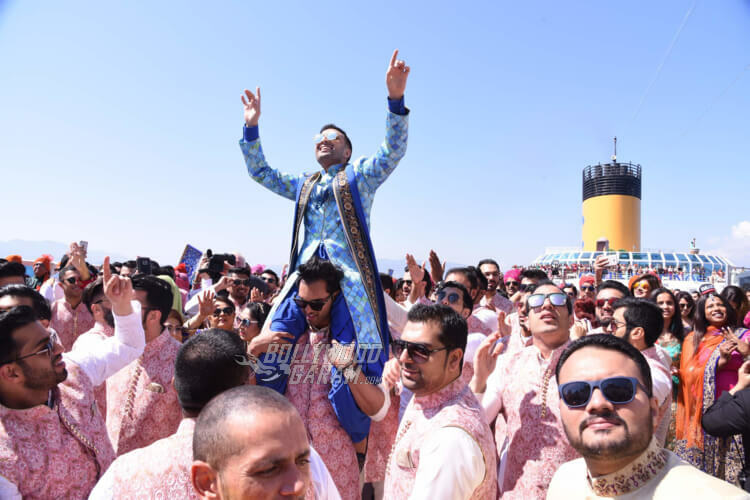 Adel Sajan’s baraat was brought amidst dhol tasha and performances by various French and Italian dancing troupes. It ended with all the guests dancing to tunes of it Bollywood songs through the morning. For this party the bride and groom color coordinated their outfits with a melangé of blues. 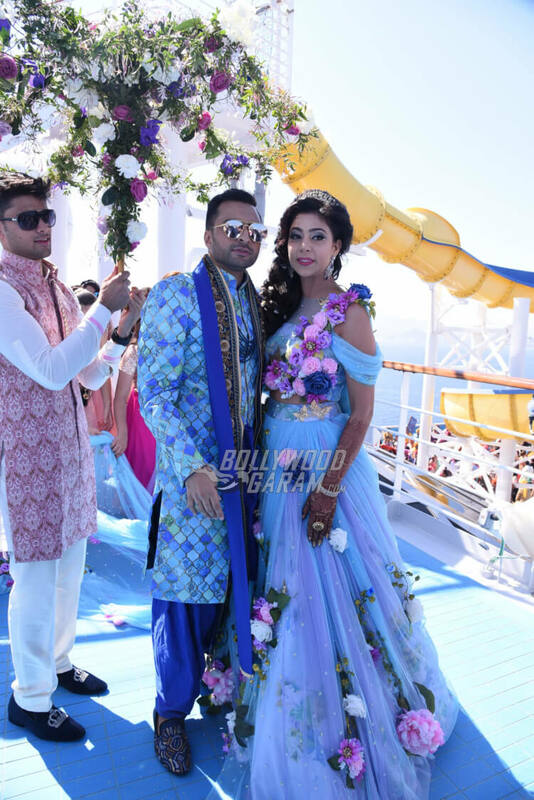 While Adel Sajan looked dashing in a blue sherwani, Sana Khan chose a stunning blue net outfit with a flowery theme. The dress was embroidered with flowers made of satin and had a beautiful long trail. She completed the look with a diamond tiara and earrings, while Adel sported lenin style glasses as he danced away with his friends! 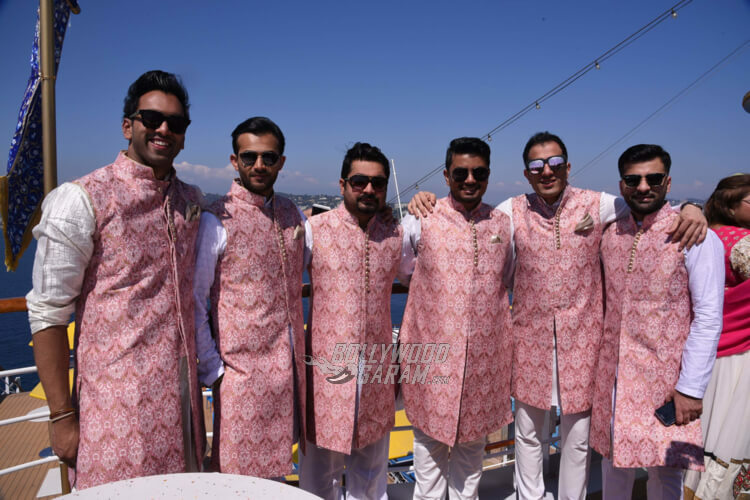 While close friends of the bride and groom sported blush pink colored dresses and sherwanis, respectively. Sana Khan and Adel Sajan pose the camera on decks as Adel brings in the baraat to take Sana home as his wife! The to-be married couple is all smiles! 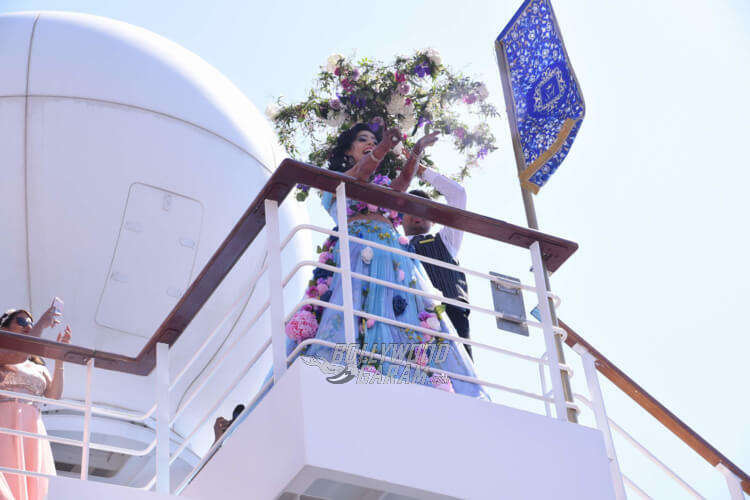 Sana Khan waves out to her groom as he brings in his baraat – anybody notice the natural umbrella, complete with leaves and flowers? 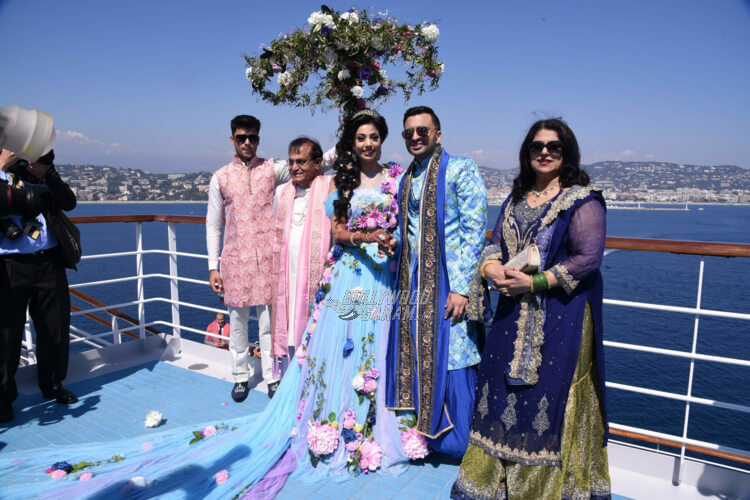 Stay tuned for more updates from the wedding of the decade – Adel Sajan weds Sana Khan exclusively on Bollywood Garam! Previous articleSana Khan and Adel Sajan Wedding Day photos - Sana dazzles in bioluminescent dress!